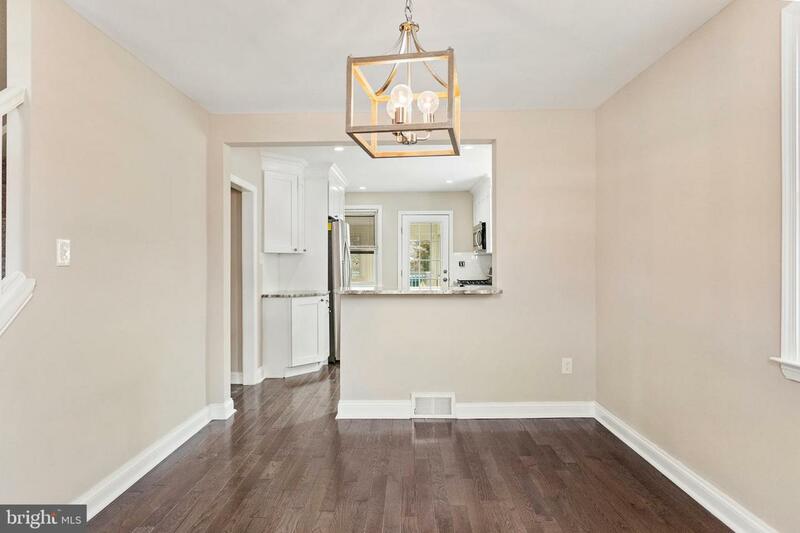 Fully renovated from top to bottom, this fantastic three bedroom two bathroom cape cod is gorgeous. 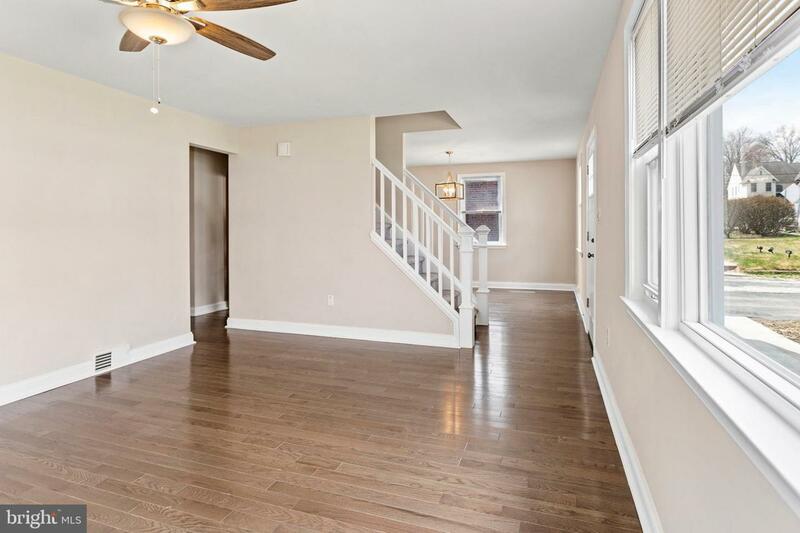 As you enter, notice new stylish hardwood flooring throughout the first floor. Sunny living room and dining room flank the center stairs with open chair rail creating excellent flow between rooms. Dining room is only separated from the gourmet kitchen by the granite breakfast bar where guests can gather. Galley kitchen has white shaker cabinets, all new stainless steel appliances, tons of granite counter space, gas range, subway tile backsplash and access to the family room/sun porch. Convenient first floor bedroom and full bath with tub are also found on this level. 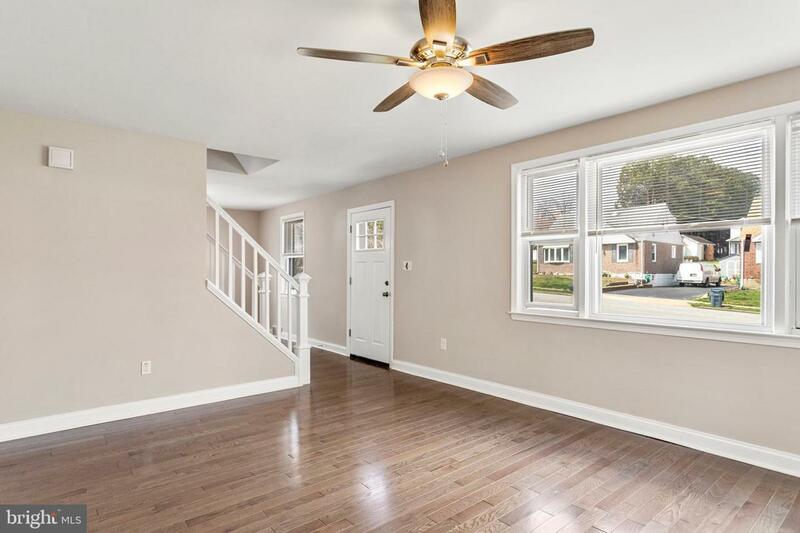 Enclosed four season sun porch - with mini-split unit for A/C and heat - is a spectacular room with tons of natural light and fresh air. This room opens to the back deck. Upstairs are two additional nice sized bedrooms and another full bathroom with tub. Basement is unfinished for storage and laundry facilities. Large backyard includes storage shed and connects to Malin Rd. Tot lot playground/township park which is located behind all the homes along this street. 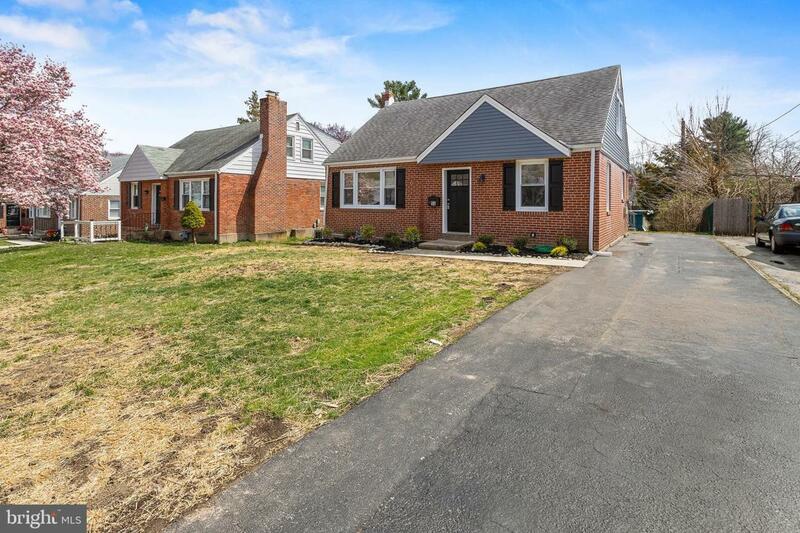 Tucked between Springfield Rd and West Chester Pike, access to shops, restaurants and I-476 is easy from here!